Hart Windows offer beautiful double glazing in Guildford. We give you some compelling reasons to choose us for your double glazing needs, including massive savings and improved thermal performance for your home. As double glazing experts, with over three decades of installation experience, Hart Windows can promise you high quality. We offer expert in-house teams for double glazing installations in Guildford and surrounding areas. They are professional and experienced enough to give you the best and most reliable service in the market. In addition to our exemplary service, we also offer a wide range of products. We install high quality double glazed aluminium and uPVC doors and windows. We also offer glazed conservatories, orangeries, roof lanterns, and we even specialise in bespoke glass cutting. To see our full range of offerings, we welcome you to visit our showroom. We have a massive space designed to give you the best possible display of our double glazing. What’s more, we have a team of friendly experts who will happily use their knowledge to give you useful expert advice. Double glazing refers to the simple technology of fitting your windows and doors with two panes of glass instead of one. The distance between the pane is set so that air does not move around. In some cases, there is a vacuum between the panes which acts as insulation. This gap acts as a break for heat transfer, thereby keeping the heat trapped inside your home. All of the doors we install will help to improve the quality of your home. We have a beautiful range of uPVC doors available such as patio doors, bi-fold doors, french doors, and stable doors. If you are looking for an external door for a modern build, our aluminium doors are perfect along with our modern composite doors. 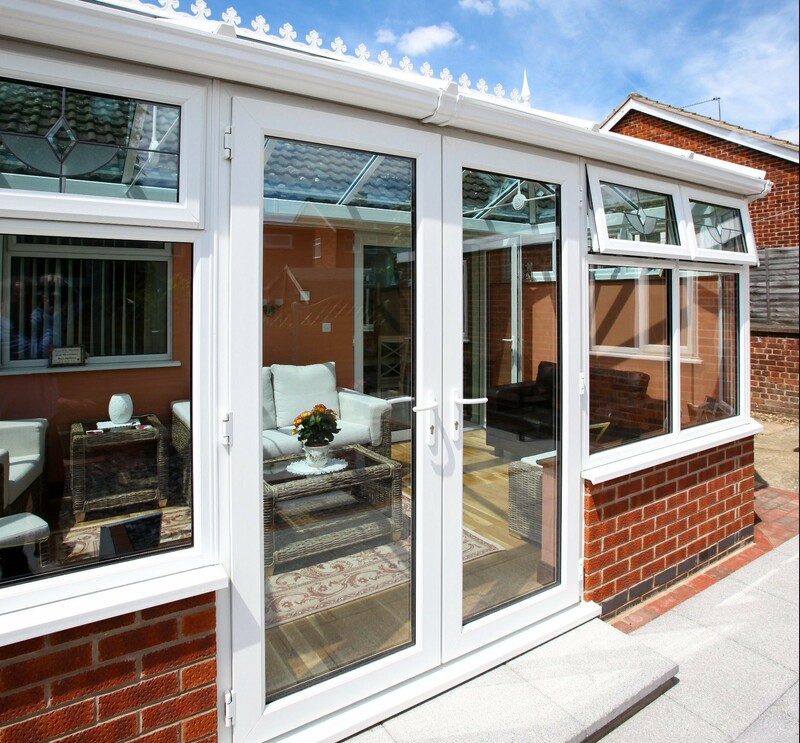 From aluminium bi-fold doors to patio doors, they offer a sleek appearance, slim sightlines, and will never rot, warp, or rust. Hart Windows offers a huge range of windows which can be made bespoke to your measurements and property. With a full range of aluminium and uPVC double glazed windows, you can benefit from double glazing that fits in with your property style and personality. You can choose from our uPVC range which consists of casement windows, sliding sash windows, flush sash windows, tilt and turn windows, French casement windows and bow and bay windows. We can also provide aluminium windows, as well as our Residence 9 window collection. Why Do I Need Good Quality Double Glazing? The first, and most important, reason why you should have good quality double glazing is slimming down your energy bills. According to research, the average annual heating bill for a medium-sized house in 2014 was around £1,115. According to the study conducted by the National Insulation Association, improperly fitted glazing lets out up to 20% of the heat from inside your home. If you do the calculation, that means you are losing around £223 every year in wasted heat. Now, I am sure you’ll agree that that’s £223 that you could use for your other needs, including savings. Let’s now see how our high-quality double glazing works out for you. We offer a 10 year warranty on all our uPVC windows and doors. If our installations help you to make even a 10% saving on your heating costs, that’s a 50% reduction in wasted heat. At the bare minimum, over a duration of 10 years, you can save a whole year’s energy cost. That is, £1,115 in savings for you! Our range of uPVC profiles are manufactured by Liniar. Liniar is one of the industry leaders in uPVC home improvement fittings. Together, with their innovation and technology, we can provide high-performance windows and doors. As part of this high performance, the frames are extremely thermally efficient. 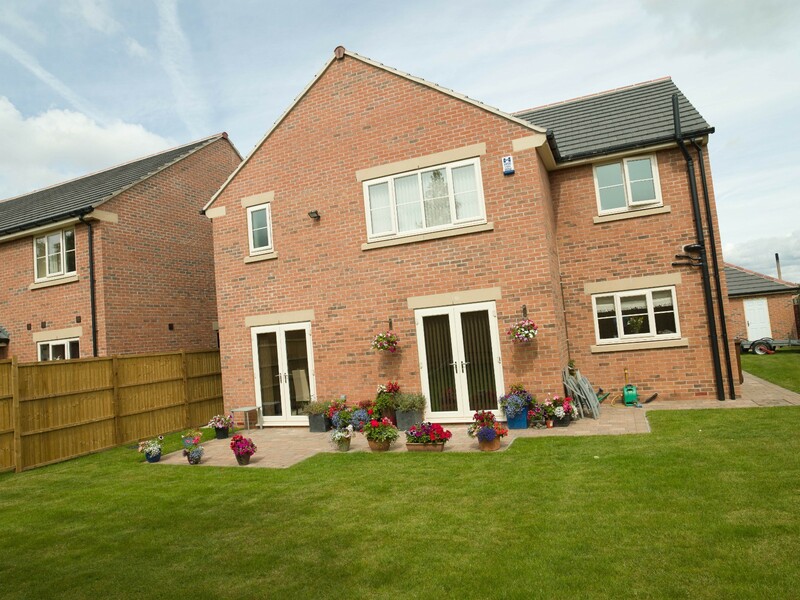 The uPVC profile we install is made up of strategically planned and built chambers. These are arranged in a manner that they serve to trap warm air and keep it from moving around. As a result, the trapped air forms a blanket of insulation within the frames. This keeps the heat from inside the house from being leached out. Additionally, our expert installation of double glazing in Guildford ensures that the glass does not allow heat to escape either. By creating a tightly sealed pocket of vacuum or a non-conductive gas between the two panes, we create a barrier between the external and internal side of the double glazed product. 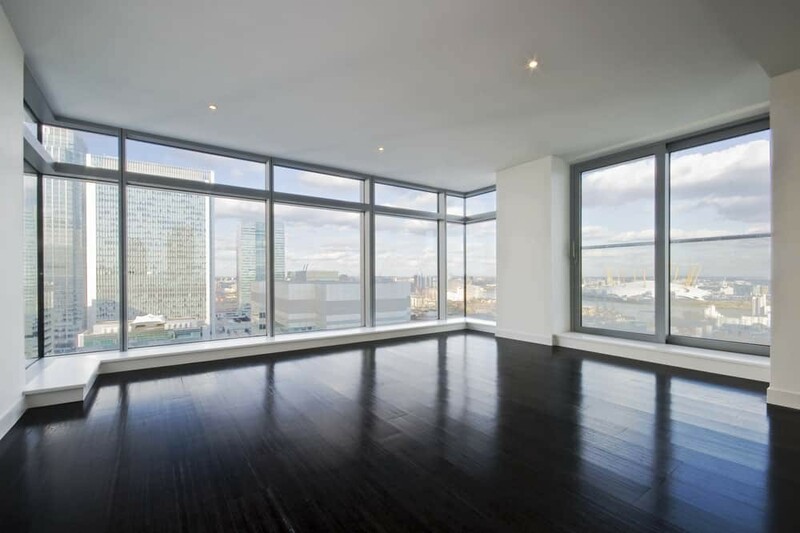 As a result, the entire unit, glass as well as frame, acts as an insulating barrier, giving you a warmer home. The best part is, it stays warm with lower energy consumption. 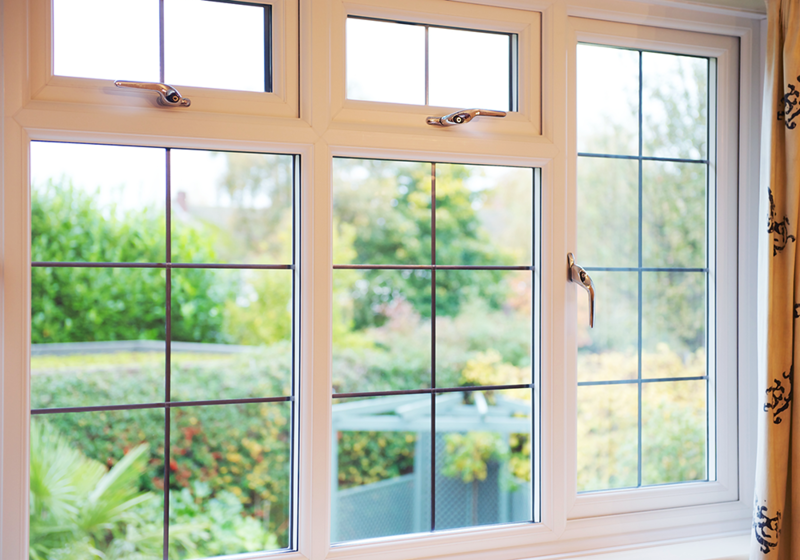 With a combination of protective design, added security features, and innate strength, our double glazing in Guildford can play a huge role in the security of your home. As part of the secure design, all our double glazing products comes with internal beading, supported by reinforced uPVC. The internally beaded glass is almost impossible to dismantle, making it a good deterrent for intruders. Additionally, we fit our installations with secure locking systems as standard. Our reinforced steel locks are fitted between a double ridged frame. As a result, the lock is completely inaccessible from the inside, as well as the outside – if the window is closed. The durable frames are virtually indestructible and will protect the locking mechanisms. Hart Windows double glazing prices are affordable and competitive. To get a quick estimate of your new home improvements in Guildford and Surrey, you can use our online quote generator. It’s very easy to use! All you need to do is enter your specifications and details and it will quickly calculate the costs and give you an instant price. Alternatively, you can contact us. Someone from our helpful team will give you advice on your double glazing needs and answer all your queries.